HomeBlog November 2015 'Sweet' Christmas Decor with Mod Podge! 'Sweet' Christmas Decor with Mod Podge! Move over, gingerbread house! We're smitten with this fun take on Christmas decor - what's not to love about a candy cane pink Log Cabin? Cathie and Steve show us how to use Mod Podge Collage Clay to create this adorable abode in today's episode of Make it with Mod Podge. You'll also learn how to make your own lollipops - perfect for packaging up as a holiday treat or serving up at your holiday bash. 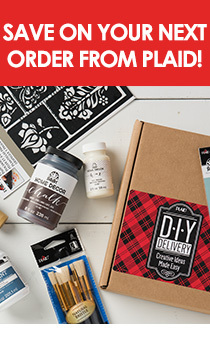 Subscribe to our YouTube channel to get new episodes of Make it with Mod Podge the first three Fridays of each month!